By Robin Schmitt, General Manager APAC, Neustar Inc. Welcome to the age of blended cyber-attacks, where different types of threats combined with the volume of attacks are painting a discouraging picture for cyber security and data management. With evidence from Gartner that global cyber security spending will exceed $124 billion by 2019, it’s clear that organisations are becoming more aware of the vulnerabilities intruders will inevitably exploit. The question businesses will have to ask themselves is ‘are we well prepared for this’? The trend of using multiple threat tools organised into one single attack shows no signs of slowing down. 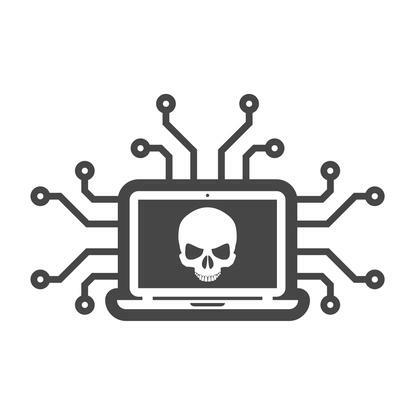 Typically explained as blended attacks or multi-vector attacks, hackers are leveraging an entire arsenal of cyber weaponry to maximise the speed and severity of damage to diminish their target security posture and achieve their goals. This could be to steal valuable data, damage a brand, gain fame or secure competitive advantage. As an example, rather than simply employing a single means of attack, perpetrators employ a variety of methods, like launching a DDoS attack to distract administrators, while attempting to exploit a myriad of known software and firmware flaws or defects, and utilising phishing and malware to secure identities and breach the network, all aimed at achieving a specific objective, like data theft. Blended attacks are significant to any system because they are varied and highly effective in pinpointing weaknesses and exploiting them. Blended attacks can combine networks and application layer attacks, which is noted in Neustar’s Changing Face of Cyber Attacks report, which uncovers a surge in IPv6 attacks that attackers are likely to pursue as companies adopt to the new IPv6 and run dual IPv4/IPv6 stacks. They can also include, phishing, malware, ransomware and alike, all orchestrated to maximise effect. It’s important to remember the simple fact that if you’re online, you’re susceptible to an attack. However, whether you are vulnerable or not is entirely up to you! In the case of blended attacks, the use of blended security is necessary in order to prevent your network from attacks. Security authorities need to implement and integrate various forms of blended security such as encryption, network firewalls, web application firewalls, DDoS solutions, intrusion detection and prevention systems, and anti-virus solutions, to name a few. Furthermore, and perhaps the most important point remains with security management leaders and the demand to educate themselves and their organisation on the different strains of attacks to ultimately learn how to effectively minimise any form of attack. As the end user becomes savvier in their approach to potential spam messages, security experts must to remain vigilant in their approach to handling security. Rather than thinking it may be time to regress in the digital transformation journey, organisations must continue to evolve. Looking beyond 2018, Gartner recently revealed that by 2020 over 60 per cent of organisations will be investing in an array of cybersecurity tools. The threat of a blended attack should encourage us to re-evaluate our security protocols, encouraging us to innovate and evolve, helping organisations stay ahead of the attacks of tomorrow.